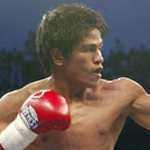 Concepcion is coming off a second round TKO victory over former US Olympic alternate Torrence Daniels last April 26. However, should Ponce De Leon who is promoted by Oscar De La Hoya’s Golden Boy Promotions prevail, then the possibility is a rematch with reigning WBO bantamweight champion Gerry Penalosa. Penalosa has repeatedly asked for a rematch claiming that he didn’t think he lost a twelve round decision to the menacing-looking Mexican when they first met on March 17, 2007 although the judges had Ponce De Leon winning by a lopsided margin.